My name is Laura and I’m the manager of SCK artist management. Stelly Currie, the owner and founder of SCK artist management is also a script writer that is in need to find a collaboration crew for my film production. We am seeking media/production students to collaborate with me as an addition to their experience and giving them an opportunity to showcase their talents. We won’t be able to pay high rates, however, It will be a good experience and for students/people who are passionate to gain real-life insights and be able to put their knowledge and talents to the best of their potential. 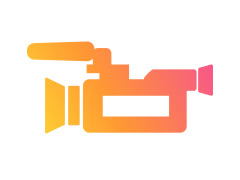 We have connections to television and media producers and have ideas for short films,etc that could have potential of being screened at local theatres. We am seeking students/people who are passionate in these fields that can do film-taking, editing, camera and lights, etc. It would be able to enhance their practical skills and hopefully can be added to their overall portfolio as experience when they are seeking for a potential job out in their specific fields.